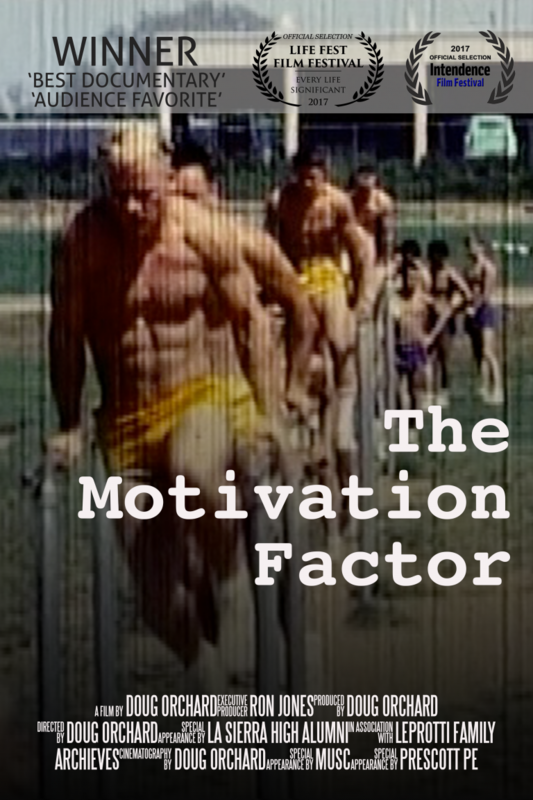 The Motivation Factor was just reviewed as "the most important documentary of our lifetime," and is a multi-award winner at multiple film festivals including 'Best Documentary' and 'Audience Choice Award.' It has an unheard of 5 out of 5 star rating on iTunes and 5 out of 5 star rating on Amazon! There's simply nothing else like it. The Director of the Life Fest Film Festival in Hollywood said, "This film will change America!" This multiple award-winning documentary film shows the irreplaceable role Physical Education plays to develop social unity and become smart, productive and mentally stable citizens, and the out-of-control consequences we face today with its absence in our society. The crowdfunding video for this film generated over 50 Million Facebook views! A rapidly growing list of medical schools all across the world are now incorporating daily physical education because of this film, and the US Marine Corp at Camp Pendleton changed their workout on January 1st this year and now follows the SE Routine profiled in the film. Physicians at the most respected hospitals like Children's hospital in Boston are prescribing the workout to their patients. More than a documentary, this film stirs a passionate call to action, and serves as an inspiring communication vehicle to make a realistic lifestyle change that will dramatically improve our society's health, unity, and reverse our ballooning national debt. Doug Orchard is a professional cinematographer, director, editor and an expert researcher with an MLS from Indiana University, Bloomington and has excellent communication skills (BA English, BYU). Since 1993, Mr. Orchard has served a variety of corporations including Regenexx (Regenerative Sciences), iHeart Radio, Viacom, Apple, Atlantic Health Systems, Deloitte & Touche, EDS, Ernst & Young, HealthNet, IBM, Lockheed, ChiroTrust, McGraw-Hill, Microsoft, PriceWaterhouseCoopers, Sun, and hundreds of others including the largest international asset protection law firms in the world. Doug Orchard has strong business functional experience in health and wellness, exercise science, insurance, real estate and law. He is a global thought leader on Physical Education, Fasting, Debt, and responsible Revenue Reserve strategies.